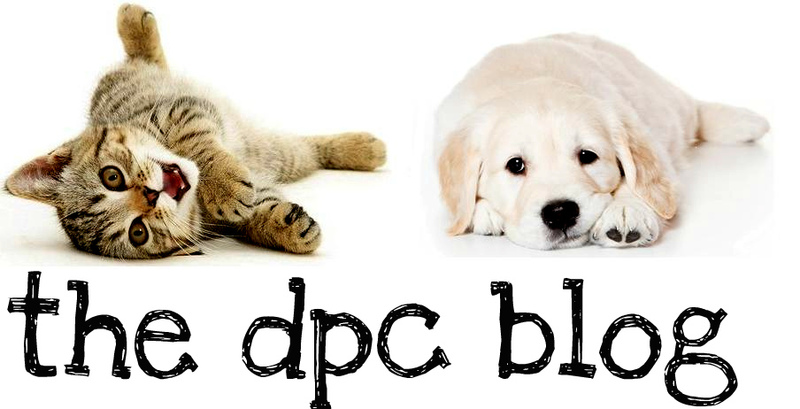 DPC's Blog: Fun Dog Facts! Puppies sleep ninety percent of the day for their first few weeks. Did you know the average dog has 42 permanent teeth in their mouth? It is a myth that dogs are color blind. Dog facts: dogs can actually see in color but not as vividly as humans. It is similar to our vision at dusk. They do have better low-light vision than humans because of a special light-reflecting layer behind their retinas. A German Shepherd guide dog led her blind companion the entire 2100 mile Applachian Trail. Dogs’ only sweat glands are between their paw pads. Like human babies, Chihuahuas are born with a soft spot in their skull which closes up with age. The top grossing film of all time is "Marley and Me" (2008) $142,992,475 featuring a dog. Newfoundlands are excellent swimmers due to their webbed feet; Basset Hounds cannot swim at all. 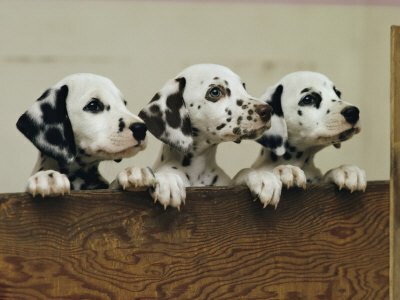 Dalmation puppies are born completely white. An American Animal Hospital Association poll found that 33% of dog owners admit to talking to their dogs on the phone and leaving answering machine messages for them while they are away. A dog’s nose print is as unique as a human’s finger print and can be used to accurately identify them. 58% include their pets in family and holiday portraits. The smallest breed of dog is the Chihuahua. After birth, puppies’ eyes do not fully open until they’re about 12 days old and their vision is not fully developed until after the first month. There are over 700 breeds of purebred dogs. The smartest breeds of dogs are believed to be the Golden Retriever, Border Collie, and Poodle. A dog’s smell is more than 100,000 times stronger than that of a humans. Dogs judge objects first by their movement, then by their brightness, and lastly by their shape. Chocolate can kill dogs or at the very least make them violently ill.
A one year old dog is as mature, physically, as a 15 year old human. George Washington had thirty six dogs – all foxhounds. All dogs are identical in anatomy – 321 bones and 42 permanent teeth. Humans can detect sounds at 20,000 times per second, while dogs can sense frequencies of 30,000 times per second. Bloodhounds are prized for their ability to single out and identify a number of scents simultaneously. A dog's average lifespan is 15 years. Average body temperature for a dog is 101.2 degrees. Dogs are natural pack animals and they are naturally submissive to any dog with higher pack status – human or canine. The ten most popular dogs (AKC, 2007) are in order: Labrador Retriever, Yorkshire Terrier, German Shepherd, Golden Retriever, Beagle, Boxer, Dachshund, Poodle, Shih Tzu, and Bulldog. Small dogs live the longest. Toy breeds live up to 16 years or more. Larger dogs average is 7 - 12 years. Veterinary medicine have extended this estimate by about three years. However, some breeds, such as Tibetan terrier live as long as twenty years.